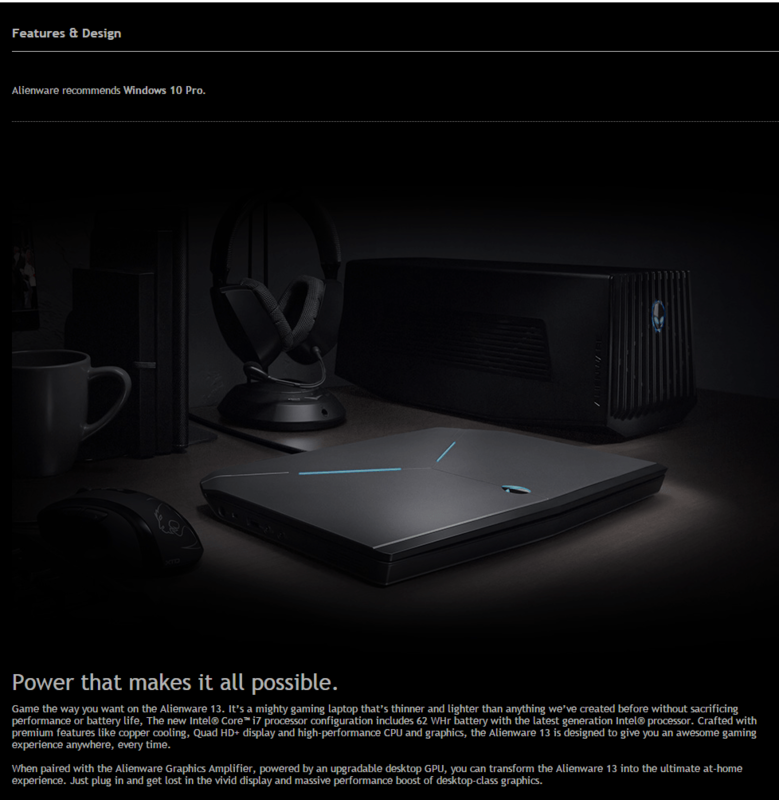 Power that makes it all possible. 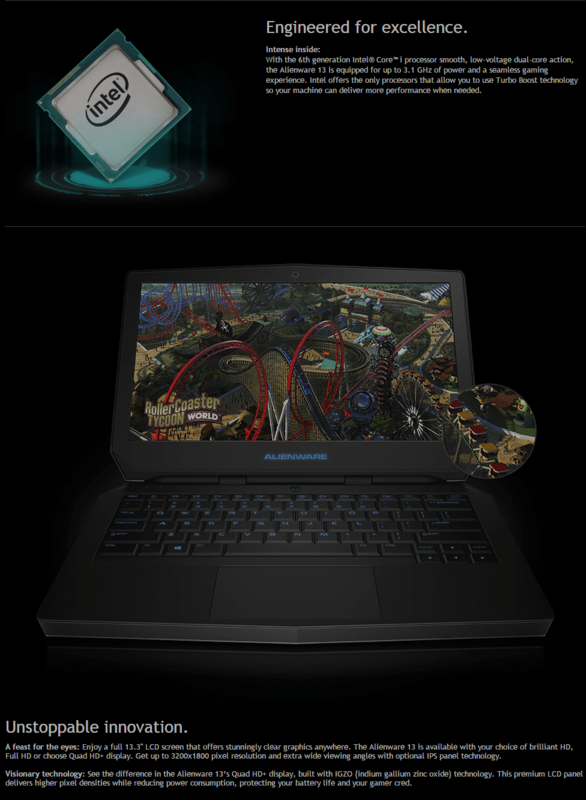 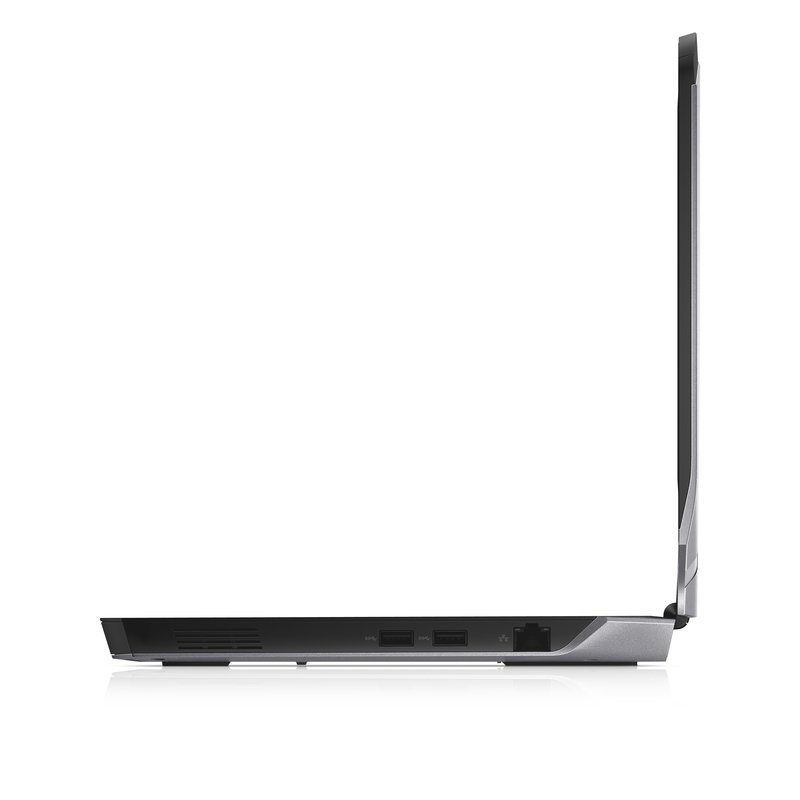 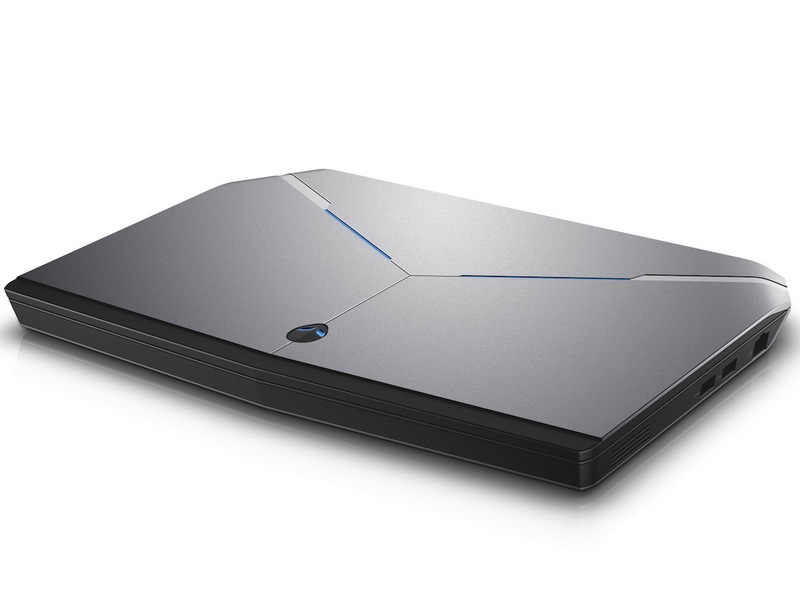 Game the way you want on the Alienware 13. 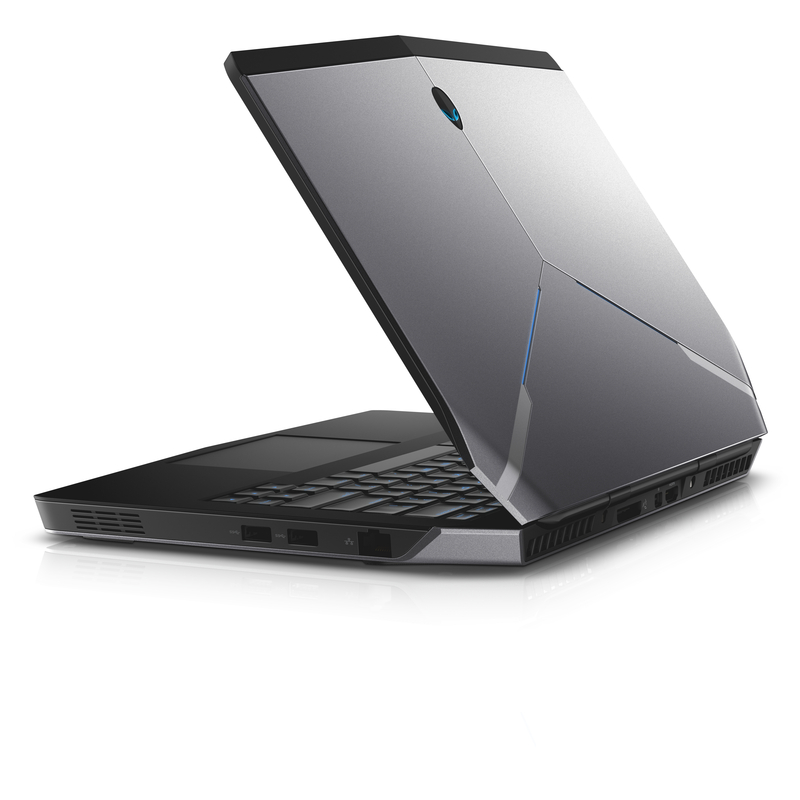 It’s a mighty gaming laptop that’s thinner and lighter than anything we’ve created before without sacrificing performance or battery life, The Intel® Core™ i7 processor configuration includes 51 WHr battery with the latest generation Intel® processor. 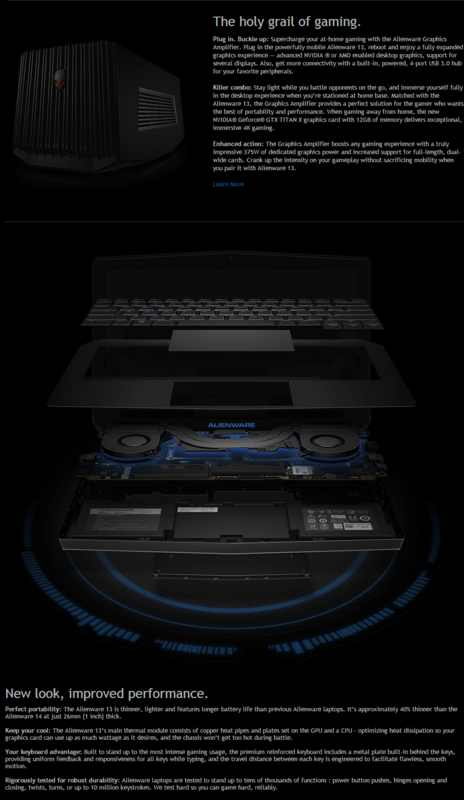 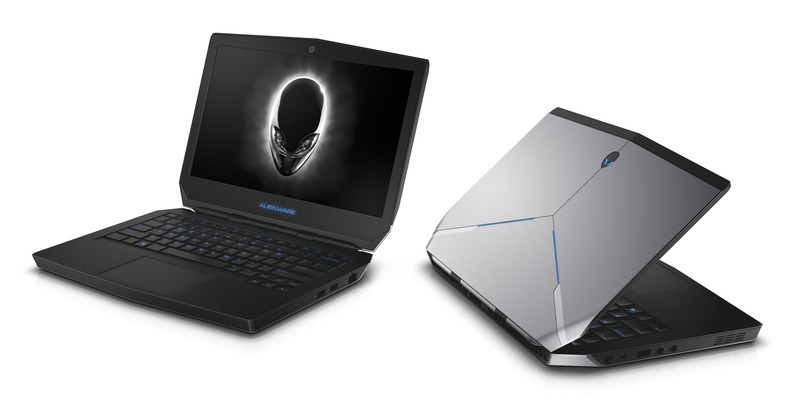 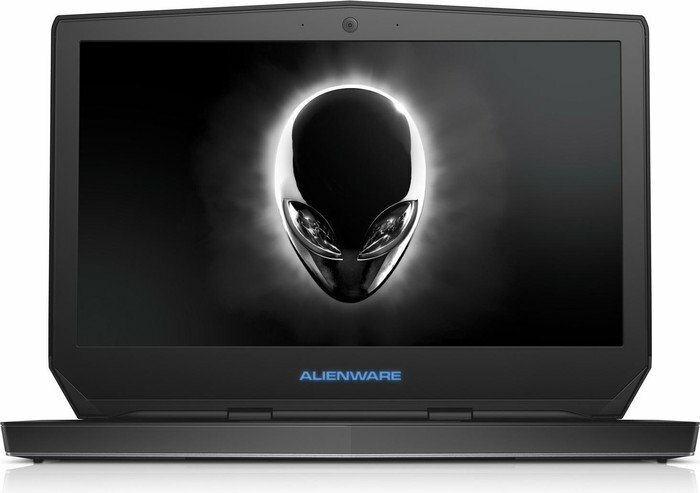 Crafted with premium features like copper cooling, FULL-HD+ display and high-performance CPU and graphics, the Alienware 13 is designed to give you an awesome gaming experience anywhere, every time. 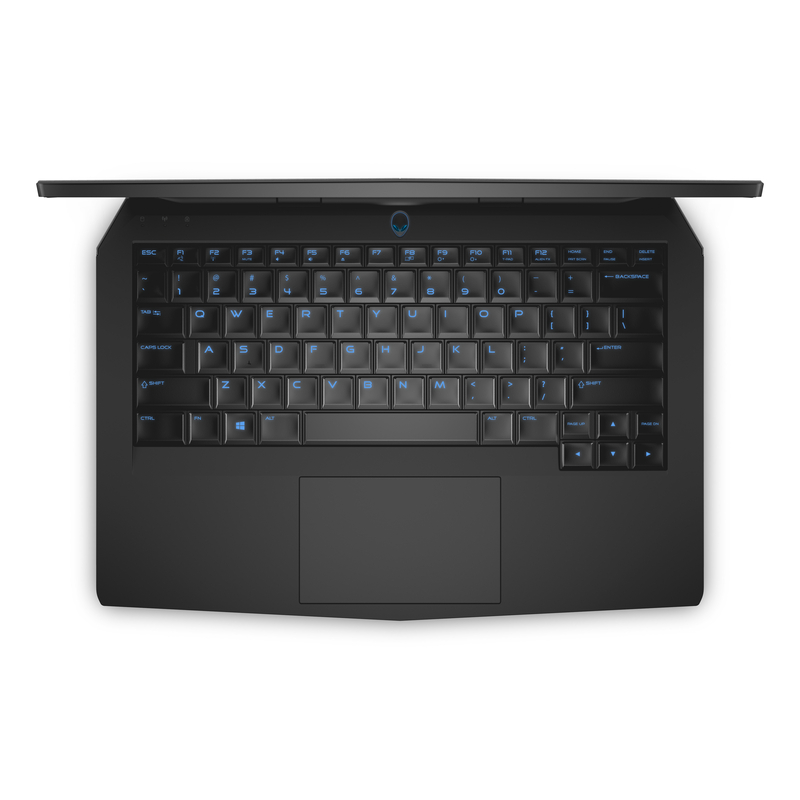 Have a question? 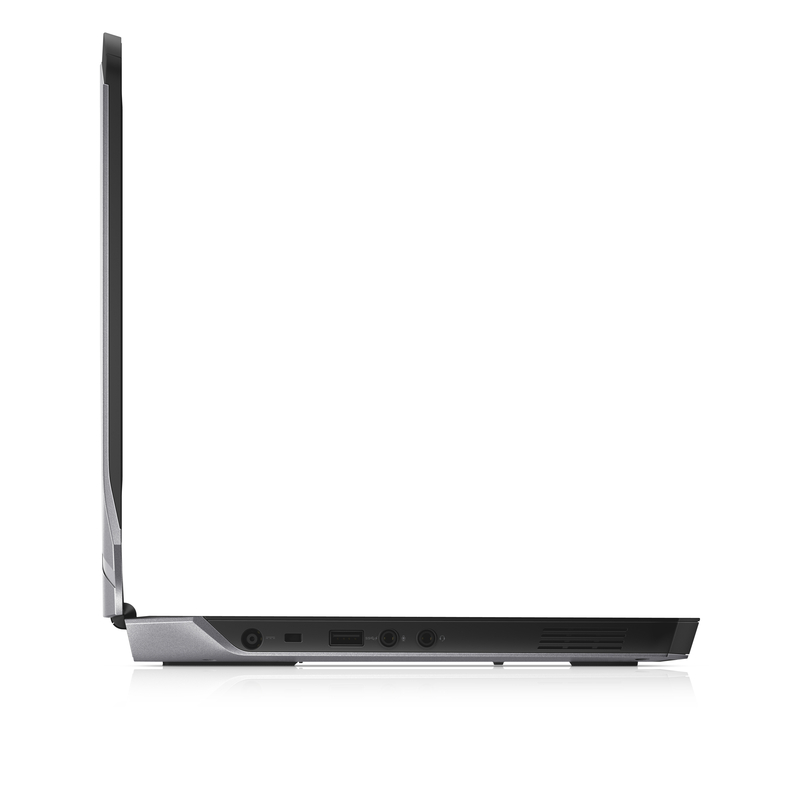 Contact Us for customization.